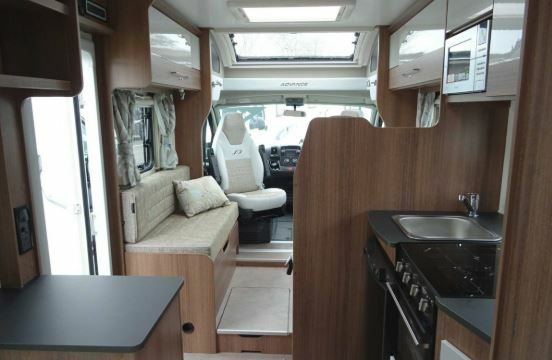 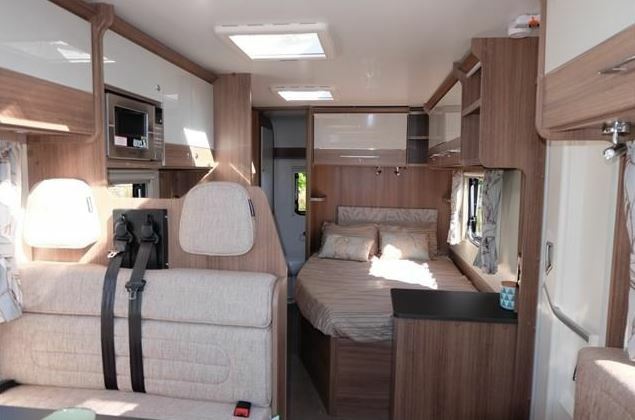 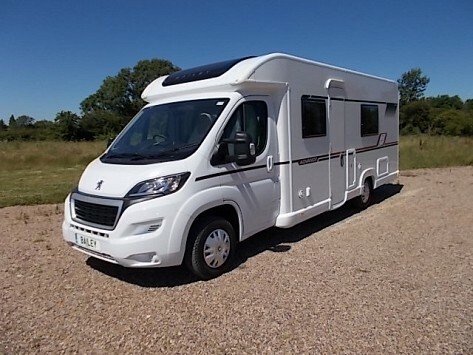 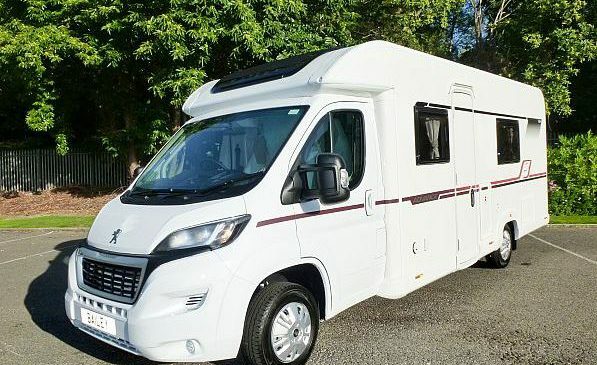 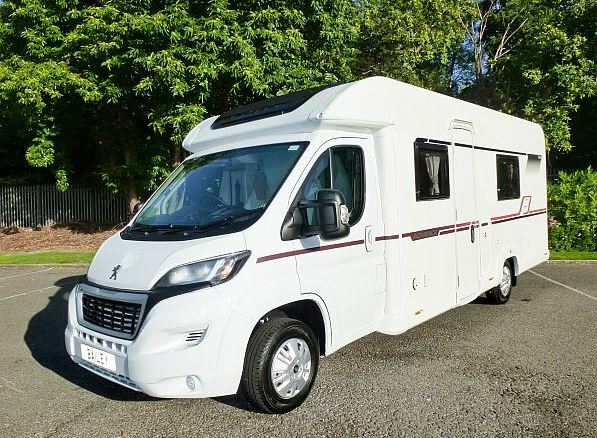 New to the fleet in 2019 and at 2.5 meters wide and 7.6 meters long, this Bailey 4 berth has plenty of room inside the cabin. 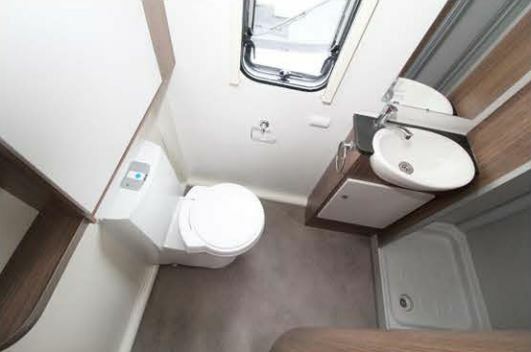 The BIG feature is the large bathroom at the back, with separate shower area. 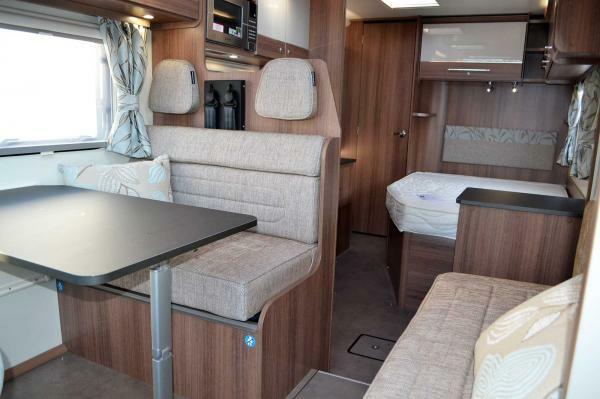 It comes with a fixed double and a dedicated dinette area which converts into the other double. 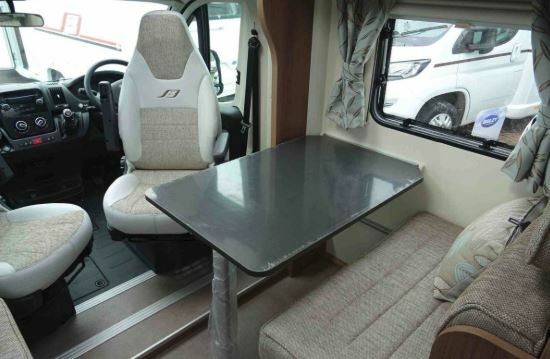 The front seats both swivel round to give you extra day time seating options around the table. 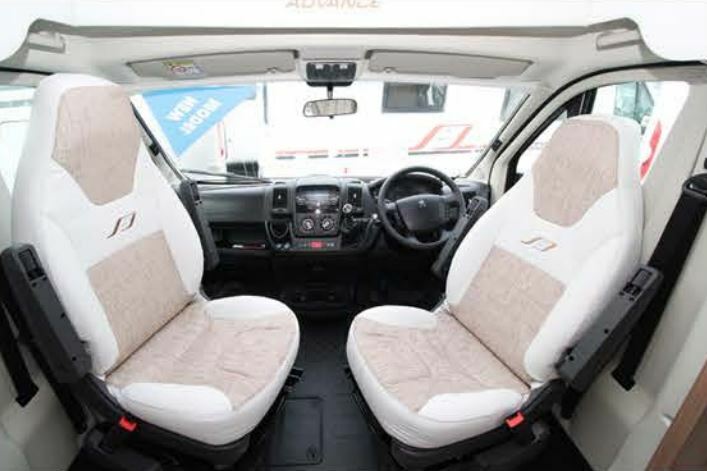 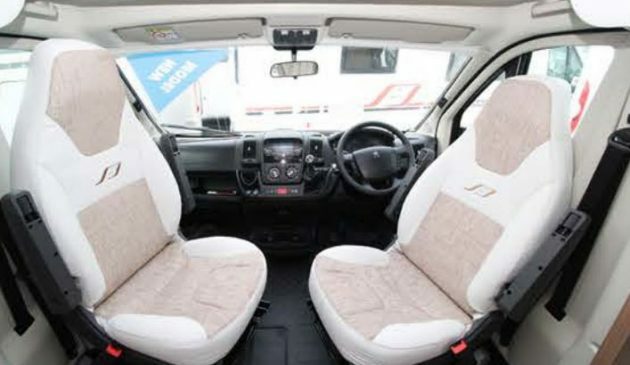 With four belted seats, it’s an ideal choice for a small family or the ultimate luxury for a couple. 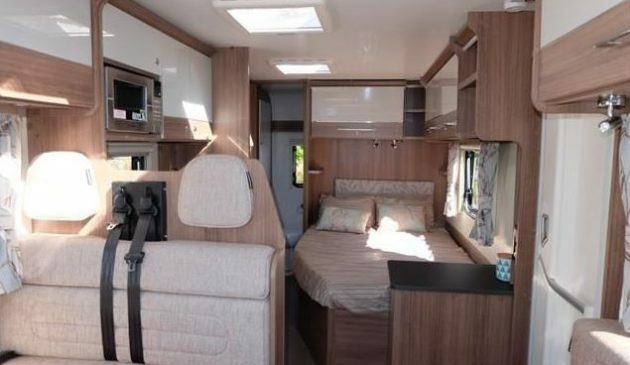 It comes with cab air conditioning, fridge freezer and a four bike rack on the back. 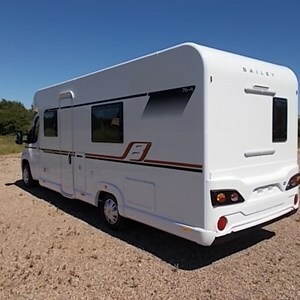 Despite its size, you can drive it on a normal car license.